It is with deepest love and gratitude for an amazing mother that we announce the passing of FONTELLA MAY (ORR) TRAINER. Mom passed away peacefully after a lengthy illness on April 14th, 2019 surrounded by her family. Mom will be lovingly remembered by her sister Fay (Orr) Hartley and Mom’s children Roxanne (John) Rasmussen, Tracy (David) Ingraham, (Dina) Trainer, Shawn (Mandy) Trainer, 14 grandchildren and 2 great grandchildren. 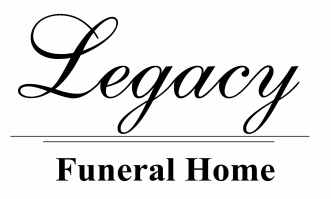 Mom was predeceased by her parents Wilford and Annie (Bohne) Orr, her husband Joseph C. Trainer, son Terry J. Trainer, great-grandchild Liam McLeod, siblings John, Cecil, Merlin, Gordon, Dean and Luella (Brewer). Mom was a beautifully talented woman in many areas including gardening, music, art, baking and cooking. She loved being outdoors in nature. She served faithfully in many different areas in The Church of Jesus Christ of Latter-day Saints. She loved her Savior and had a strong testimony of families. Her children and grandchildren brought her great joy. The Funeral Service will be held at The Church of Jesus Christ of Latter-day Saints, MAGRATH STAKE CENTER, on Friday, April 19, 2019 at 11:00 a.m. Friends may meet the family from 9:45 to 10:45 a.m. prior to the service. Interment to follow in the Magrath Cemetery.